Author: Loh, Vyvyane Set In . . .
"Dramatic....One of the most ambitious and accomplished debut novels in recent memory. "?Kirkus Reviews, starred review. This brilliant novel chronicles the fall of Singapore to the Japanese in World War II. Central to the story is one Chinese family: Claude, raised to be more British than the British and ashamed of his own heritage; his father, Humphrey, whose Anglophilia blinds him to possible defeat and his wife's dalliances; and the redoubtable Grandma Siok, whose sage advice falls on deaf ears. Expatriates, spies, fifth columnists, and nationalists?including the elusive young woman Ling-Li?mingle in this exotic culture as the Japanese threat looms. Beset by the horror of war and betrayal and, finally, torture, Claude must embrace his true heritage. In the extraordinary final paragraphs of the novel, the language itself breaks into Chinese. 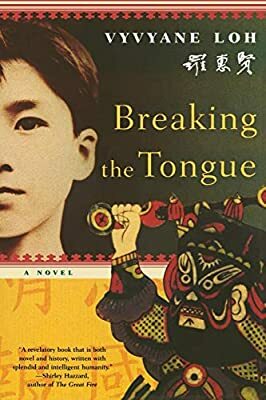 With penetrating observation, Vyvyane Loh unfolds the coming-of-age story of a young man and a nation, a story that deals with myth, race, and class, with the ways language shapes perceptions, and with the intrigue and suffering of war. Reading group guide included.